Welcome to MyTriops, a site dedicated to those fascinating freshwater creatures - 'Triops'. Everything here is over 200 Million years old! Hello and welcome to MyTriops, only the best Triops web site on the planet! Did you get some Triops as a toy, gift or birthday present? 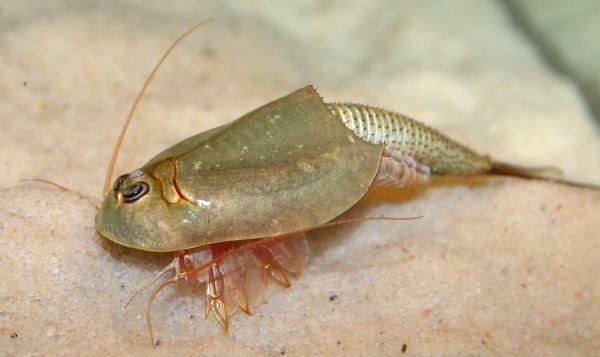 If so, please take a look around as we've articles for newcomers as well as more scientific articles for those of you interested in the dozens of Triops species. We have one of the largest collections of useful information on the Internet on how to raise and look after these creatures as well as a gallery of images, movies and articles on Triops, reviews of various products companies are offering and a facebook group where you can share your experience with other like-minded people. Feel free to browse. If you are new to 'Triops' then please visit the FAQ link above. Please excuse any mess you may find as we've just did a water change.